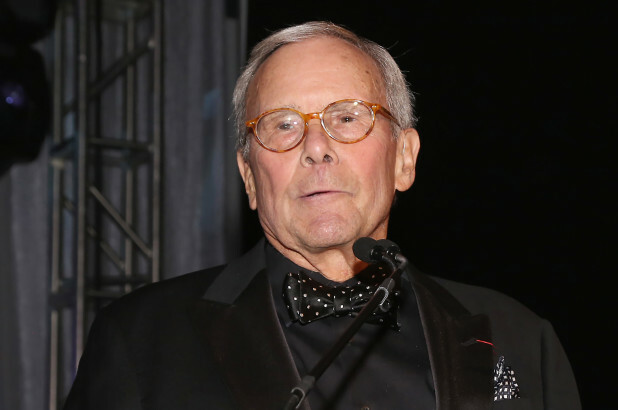 Tom Brokaw has come under fire for comments he made about Hispanics during a “Meet the Press” appearance on Sunday. The legendary NBC News anchor — who was accused of sexual harassment last year by three different women — had been on the panel discussing immigration and what could help bring Americans together on the subject. PBS correspondent Yamiche Alcindor, who was also on the “Meet the Press” panel, condemned Brokaw’s comments once the segment was finished — as did countless social media users. Brokaw took to Twitter on Sunday night to do damage control after getting blasted as a “xenophobe” and “racist” throughout the day. Social media users, however, weren’t too accepting. “You misspelled, ‘I apologize for my ignorant and demeaning glib generalization,'” tweeted @pourmecoffee. Many were pointing out how Brokaw didn’t initially apologize. Brokaw eventually said he was “sorry” in a second series of tweets hours later — claiming his Twitter account had “failed” him the first time. Brokaw and NBC did not immediately respond for comment Sunday.